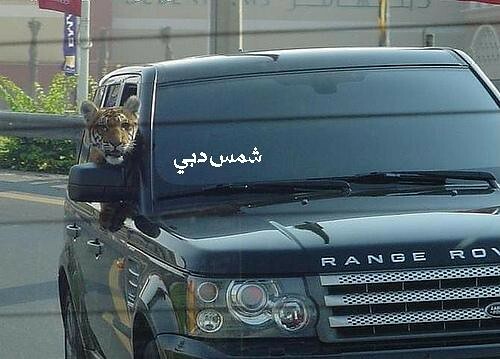 Security personnel in Qatar conduct a thorough search of the areas but couldn't find any cheetah, contrary to reports. There is no cheetah on the prowl, Qatar public have been reassured – despite several reports of cheetah sitings in the area under the jurisdiction of the North Security Department (NSD). North Security Department director Brigadier Ali Mohammad Al Nuaimi was quoted in the local media as saying: "It is just allegations and people should not worry about them". "The security personnel conducted a thorough search of the areas but couldn't find any cheetah. Some of the complaints were malicious and necessary action has been taken against them," he was quoted as saying. Brigadier Al Nuaimi reportedly said the department treated such complaints very seriously and took prompt action to deal with them. "There is nothing to worry about as the security authorities are genuinely keen to guarantee security and peace in society," he reportedly said. "We are now looking into how the allegations about the cheetah sighting started," the director said. Sounds like someone got fed up with their pet and it's now on the prowl When they say "there is nothing to worry about" it's time to be worried! So they looked for it and couldn't find it, so that means it's not there? Welcome to the sand pit logic!!! ...mustard? That'd be nearly as daft as believing in Marmite. I am not surprised that they couldn't find a cheetah, as it was actually a tiger that was on the lose. The cheetah is still safely tucked away in the Land Cruiser. No, i kid you not....have seen it several times being driven around, sitting in the passenger seat. Last edited by Alexa; Oct 31st 2010 at 1:21 pm. A family pet no doubt! I wonder if that works better than honking at someone? How can it reach the pedals? It cannot be any worse at driving than these muppets. A 4 car pile up on the Eastern Ringroad this morning at 6.30 rush hour . A straight road !!! and these clowns still screw it up. View Next Unread Contented old gits. Your opportunity to celebrate the modern world.